Now a days most of the people are using the android phones.Using the android phone we are going to get much information about things and what is going in the world.And the most of the people are loosing their phones and no chance to find out the phone,some phones are stolen by unknown persons.Now find my device application used to track the location of the phone and even we are lock the phone also and also we can erase the data through the other mobile by using the find my device application.First we have to download the application through the play store and registered through the gmail in that application and that gmail must be login your phone.find My Device easily lets you remotely track, lock, and erase the data on a lost or stolen phone. You can also see the battery life remaining on your phone and the Wi-Fi network it is connected to. 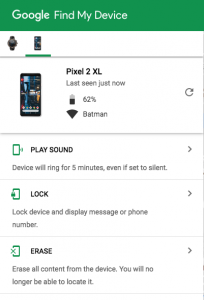 It’s the easiest way to track a lost Android phone. 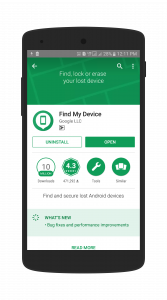 Find My Device app . Open Play Store from your home screen or app drawer. 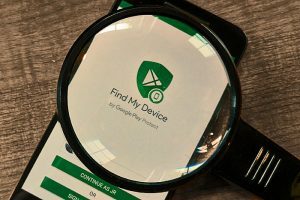 Search for Find My Device. You will see the first first application with green colour. HOW TO REGISTER IN THE APPLICATION. Open Find Device from your home screen or app drawer. Select the Google account you want to use the service with. Hit the Continue as button. Give location access to the service. 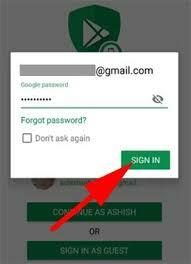 Sign in through the email id and password. Next you will see the below play sound click on the that your phone will be started the ringing. click on stop the sound will be stopped. in below ypu will find the enable secure and erase option click on that it will show data erased successfully. Click on the symbol you will find the symbol on the rightside on the device name with the round symbol. And you will know the charging percentage of the phone. Yow will find the lock option after you sign into the device in the bottom click on that and lock the phone your phone must have the password or pattern. And you will see the enable secure and erase click on that your data will be erased successfully. And you will find the play sound option click your phone will be rang even if the device is locked. This is the best application to find out the last or stolen phone. Only you have to download the application in other phone and enter the registered details of your find my device application.